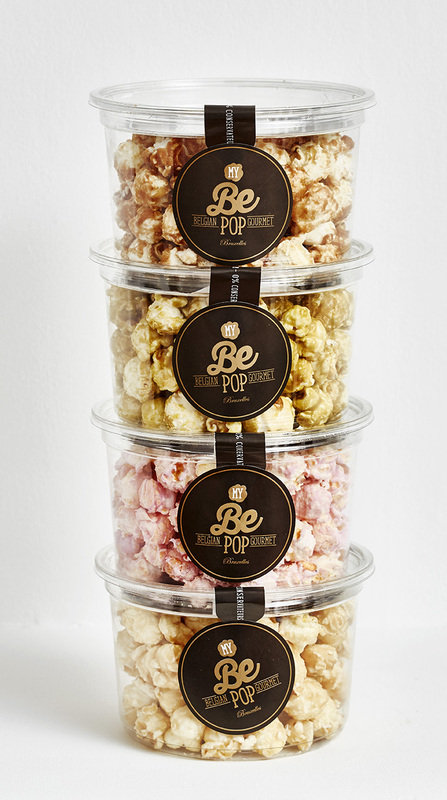 Popcorn-based gastronomy - Please Surprise Me! Tonight we dine in a gallery of Art! 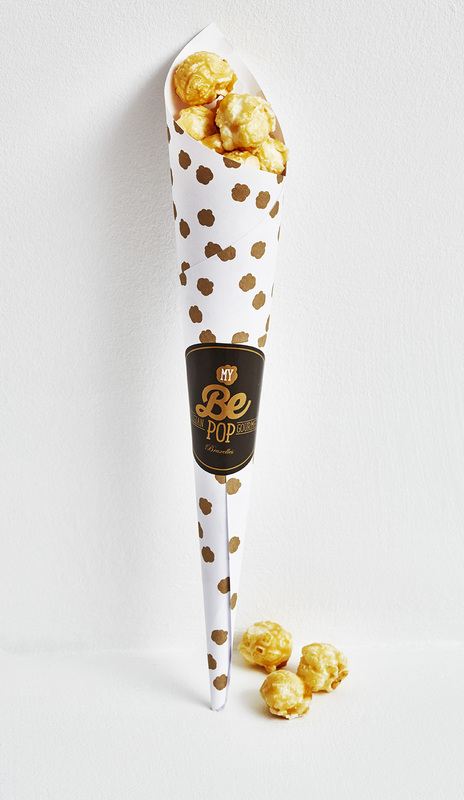 My Be POP is the diva of treats, the new way of poppppping popcorn on the plate. This puffed-up snack could have been called Dancing Queen. Out with the oil, bad fats and calories, this natural crunchy queen of pop is created via hot air. What a blast! This mushroom popcorn has the special feature of not irritating the throat or dampening the smile. All remnants of skin have been carefully removed to retain the sweetness without losing freshness or refinement. This concept store near the district of Sablon has all the markings of top gastronomy. Annick the stylist serves you with her tongs, Arnaud the chef, trained in top kitchens, creates limited varieties with audacious flavours, while Thierry prepares the sweet boxes. The golden kernels come in sweet flavours (cuberdon, passion fruit, lemon, pistachio) or savoury (parmesan & black olive, sun-dried tomato & pesto, oriental). Guaranteed free of GMOs, gluten and pesticides. We can offer private sittings for special events. The chef will devise a popcorn-based menu, for 6 to 8 guests.